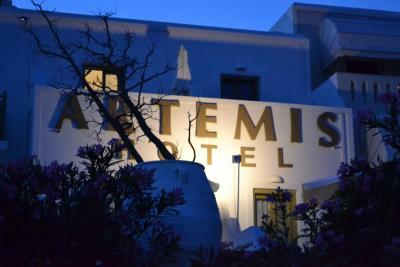 Lock in a great price for Artemis Hotel – rated 9.4 by recent guests! 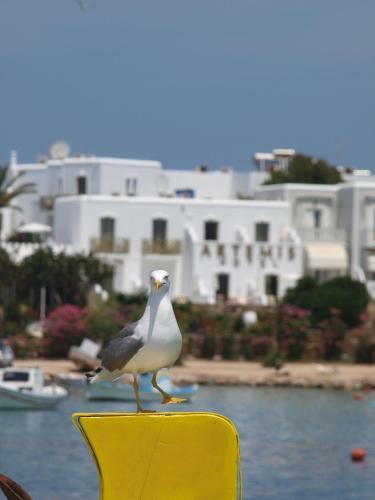 We are in love with Antiparos, wish we could have more days. 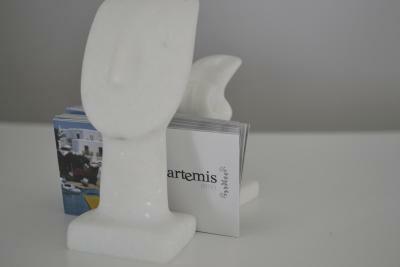 We enjoyed so much our stay at Artemis. Great location! Only one min walking to the main street where you have all you need. The view is so beautiful, amazing terrace. But what we loved the most was the staff. Worried about every single detail and how they could help you to make your stay the best. We would definitely stay here again. Great location, super friendly staff (who doesn't like to be welcomed with some homemade cookies?! ), next to the port and with a fantastic view. A few minutes walk and you're in the center. The hotel, staff, and location were perfect. We would stay there again on our next trip to antiparos! Breakfast was delicious! Truly phenomenal hotel. Well located, very clean, really great staff. The rooftop and front patios overlooking the water are really great. Perfect hotel on a beautiful island! Surpassed expections considering how little we paid. Staff were v lovely and helpful. We took up most of the rooms as we were over for a wedding and everyone couldn’t have been happier! Friendly staff. 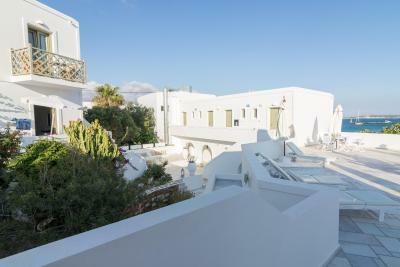 The typical cycladic style of the hotel. Nicely designed and layed out..nice feel to it... Very nice garden. The room..very nice white decor and was very well equipped. 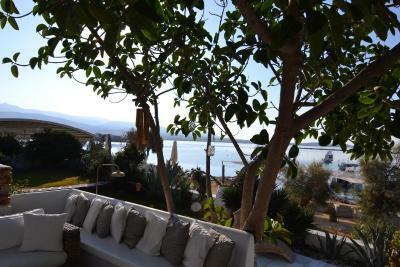 Lovely relaxing terrace for breakfast with view to sea and cute harbour. Amazing location.. and so close to everything. Loved it. Olympia and Artemis (sister and brother managers) were very friendly, welcoming and helpful. The location was perfect. 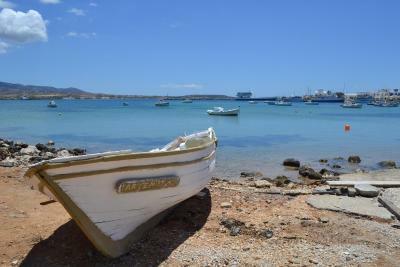 Close to wonderful restaurants, shops and the port. Everything was wonderful. We will definitely be back. Many thanks for an amazing holiday. Antipatos is paradise!!!! 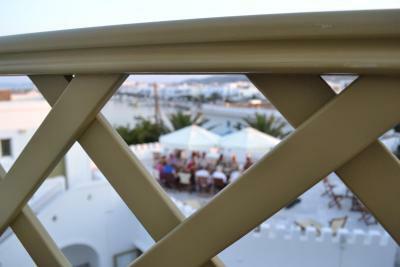 Outstanding Hotel over looking the harbour of Antiparos. Whilst the room was basic it was very clean and comfortable. The breakfast was good, especially when you could eat on yhe terrace, which I imagine is most of the time. The staff were excellent and always willing to help out. Everything. 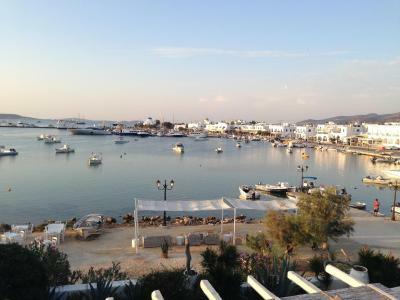 The location to the town and port of Anti Paros is very good. The hotel is stunning and staff so friendly and helpful and sweet Jason the hotels dog. A family run business I believe. The terrace area and lobby are a beautiful relaxing area to spend time and where breakfast is served. 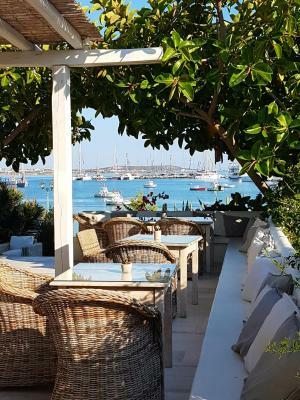 Unfortunately we stayed in Anti Paros pre Medicane 2018 so had windy weather and a day of rain which stopped some of our plans and I think made some of the restaurants close up earlier than normal but we still loved the place. 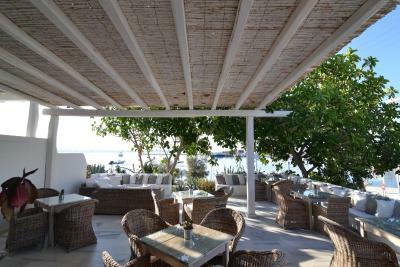 The beaches are lovely and quiet and reasonable prices in restaurants on anti Paros. 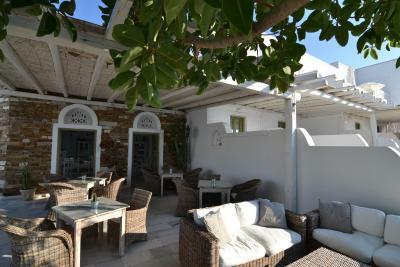 Would strongly recommend this hotel and would like to return to Anti Paros when a hurricane wasn’t on its way. Perfect hosts. Attentive, helpful and informative. Well kept hotel in a perfect location. 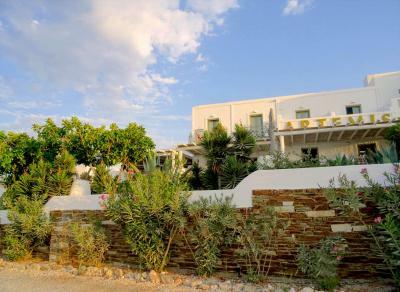 Artemis Hotel This rating is a reflection of how the property compares to the industry standard when it comes to price, facilities and services available. It's based on a self-evaluation by the property. Use this rating to help choose your stay! 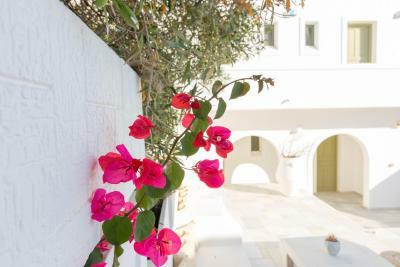 Featuring the traditional Cycladic architecture, Artemis Hotel is just 1,300 feet from Agios Spiridonas Beach. 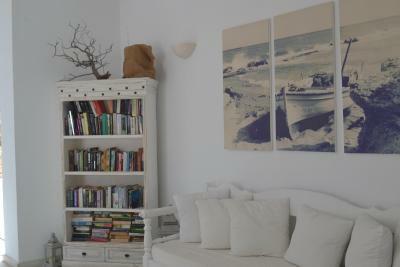 All rooms come with free Wi-Fi and balcony overlooking the sea or surrounding areas. A sun terrace with snack bar is also offered. 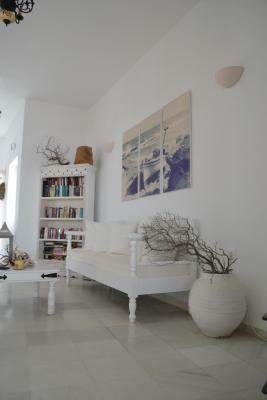 The air-conditioned units include traditional wooden furnishings in white hues and a TV with satellite channels. 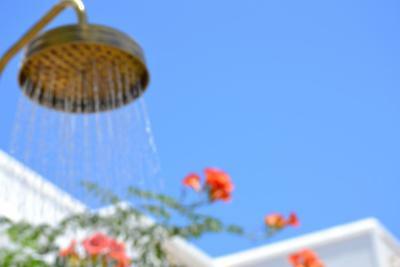 They also have a private bathroom with shower. 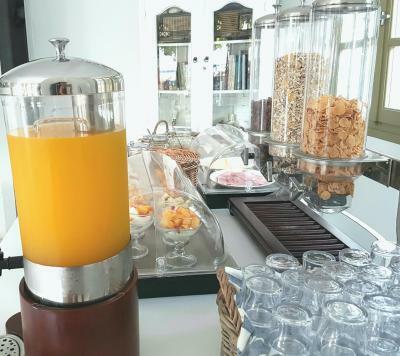 Guests can start their day with the continental breakfast served at the hotel veranda. Light meals and drinks are served at the snack bar. 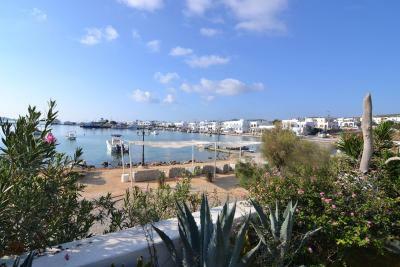 Psaralyki Beach is 2,300 feet away while Antiparos Port lies within a distance of 1,650 feet. A supermarket can be found in 1,300 feet . Free private parking is possible on site. 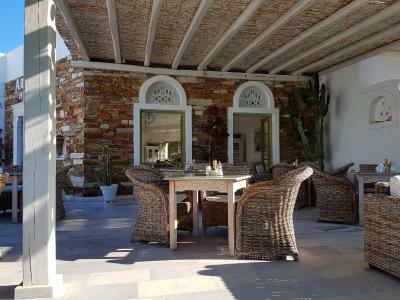 This property is also rated for the best value in Antiparos! Guests are getting more for their money when compared to other properties in this city. 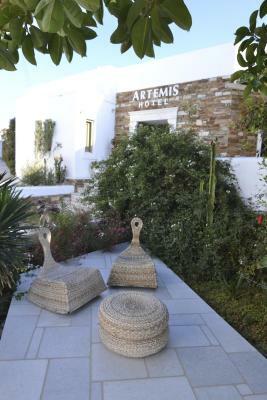 When would you like to stay at Artemis Hotel? This room comes with air conditioning, a TV with satellite channels and balcony with sea or surrounding area view. 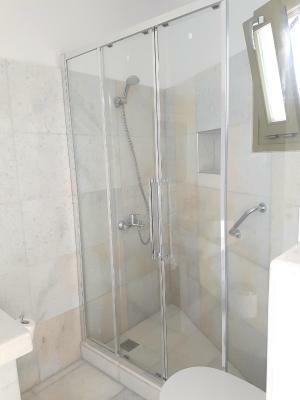 It also features a refrigerator and bathroom with shower. 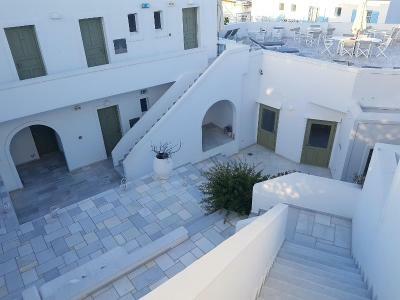 In 1993 it opened its doors to the first guests and is proud to keep its friendliness. We believe in the quality of our service and we are always working to improve your holiday or business experience. 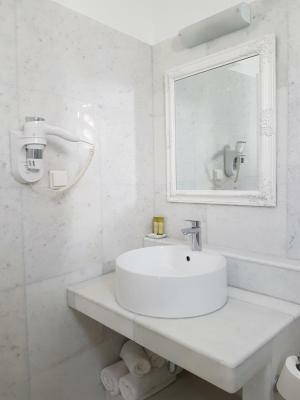 We are looking forward to welcome you in Artemis hotel! 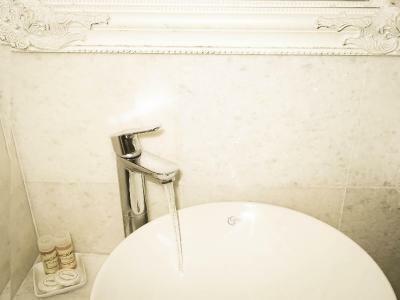 House Rules Artemis Hotel takes special requests – add in the next step! Artemis Hotel accepts these cards and reserves the right to temporarily hold an amount prior to arrival. Wish could have stayed longer! Wish we could have stayed longer than three nights. Breakfast, not very interesting. Could use an alternative egg dish other than hard boiled eggs and maybe a some fruit. 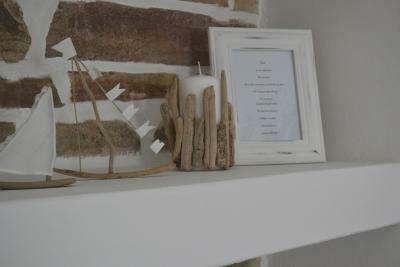 Location, friendly staff, beautiful surroundings. Fantastic in almost every aspect. The roof top terrace is lovely. 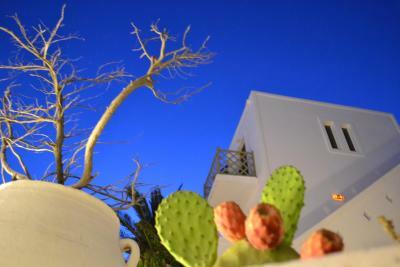 All rooms come with a balcony and our outside space, although beautifully decorated with privacy blowy nets and giant cacti, was next to the stairs which were used for the nighttime entrance. It was lovely, I just wish it had been a little more private. The hotel doesn't sell cocktails, which is a shame because the verandah would have been a lovely spot to enjoy in the evening with a cocktail or three! The hotel was beautifully decorated and wonderfully located with a short walk from all the bars, restaurants and beaches. There was a lovely verandah which you could use to read etc. 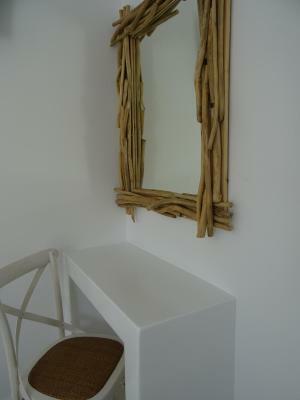 and another central seating area outside for guests which was also tastefully decorated with beach artefacts. I wish I'd seen the space on the roof too as this looked like another lovely spot for us to hang out. We only saw this on our last night as we were on the ground floor. Our room was spotless and comfortable with a super shower. The staff were friendly and helpful, advising us on car rental on the island and beaches nearby. The hôtel is right on front the océan. It is a quiet place on a beautifull Town. It is also very close to the ferry. I highly recommand this hôtel. 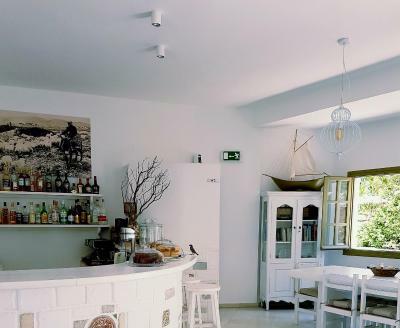 This a gem of a little hotel, with fabulous staff and in an ideal location for the town and beaches. 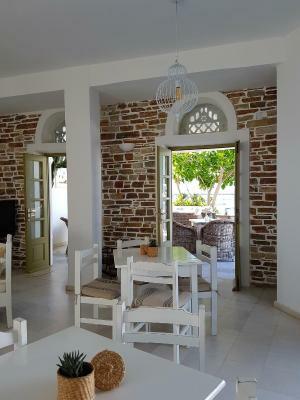 All the staff were so helpful and friendly, the room was comfortable with good air conditioning, fab shower room and lovely fluffy soft white towels. Our room had a fridge as well as a kettle plus a fab outside space with umbrella and chairs. We will definitely recommend to friends and family and stay again in future. The bed was surprisingly good. Great! Great location, very comfortable, very friendly staff! We really enjoyed our stay at Hotel Artemis! Location was excellent.Steps away from the town, but far enough out to get a great and quiet night sleep. We had a lovely big room, well maintained and clean. We had a lovely view of the town, sea and sunset. Our rooms was spacious with 2 singles pushed together . It was cleaned daily and room service was incredibly accommodating with our need to sleep (cleaning the room in the afternoon rather than the morning). In our room there was an iron and ironing board (in the wardrobe), air conditioning, a free safe, a fridge, hangers and dressing gowns, and plenty of storage space. Wifi service was excelent. I would definitely stay here again . Bathroom was too small and made it hard to shower. Lack of proper sunshade made balcony too hot to use as much as would have liked. Location was great, right on the harbour front, with amenities only 2 minutes walk.